Enjoy 15% off your entire online purchase with our Spring Sale. Sale ends on 04/17/2019. Discount will show automatically at checkout. "The Pet Expo is a unique family oriented event centered around pets and the people who love them!This one-day event offers a variety of rescues, informative groups, retailers, groomers, veterinarians, and pet organizations- everything you need to know for a happier, healthier pet! 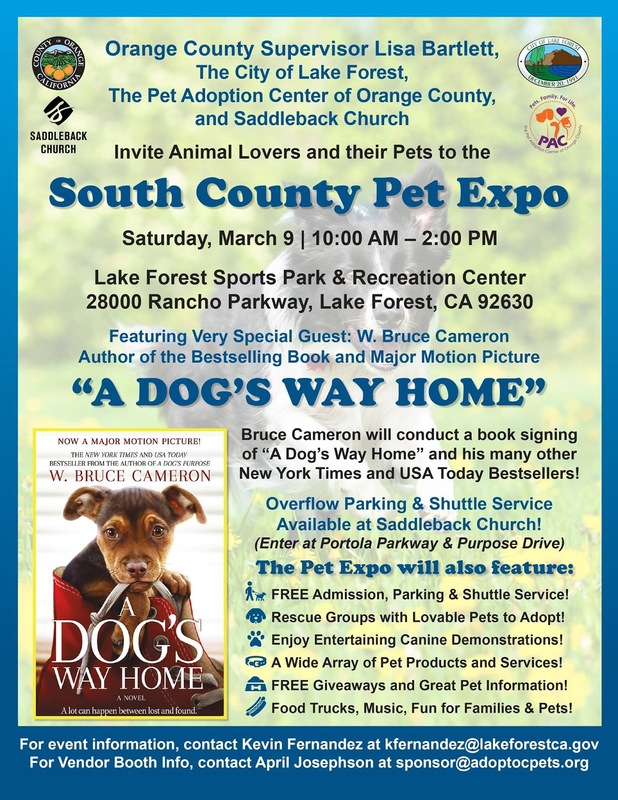 Don’t miss special guest, Bruce Cameron, who will conduct a book signing of “A Dog’s Way Home”. Feel free to bring your well socialized/people-friendly dog. *Please note: no flexible leashes are allowed for safety reasons. If your dog is not friendly, you may be asked to leave the event. *Additional parking and shuttles located at Saddleback Church." We will be bringing a selection of our Best selling products, New products, Holiday products, Cats products and Pet parents products at special event prices. Helpful Tip: If you are planning to buy a dog collar, dog apparel for your dog please make sure to have your dogs neck/chest/length measurements and know the approx weight of your dog. 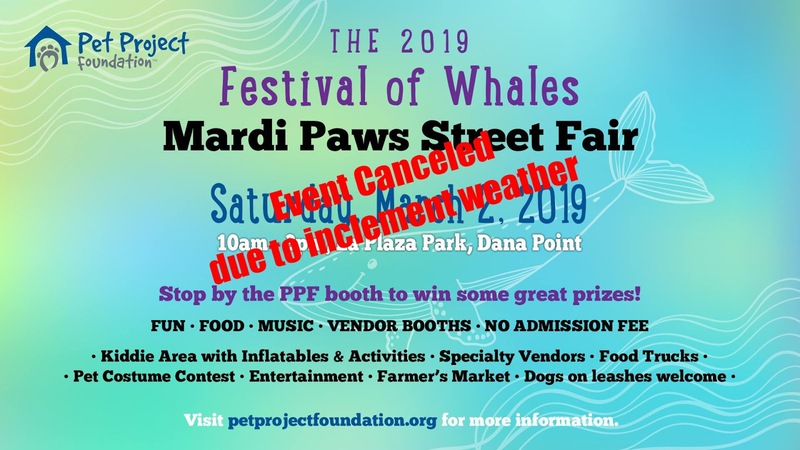 Calling all 2-legged and 4-legged fun-seekers to join PPF at our annual Festival of Whales Street Fair.Here are just some of the fun activities you can look forward to:*Everybody's favorite - Pet Costume Contest with prizes! *Vendor Booths for shopping and browsing*Food Truck with delicious food*Inflatables and family fun*Live Music and Entertainment*Pet Photo Booth*and more! 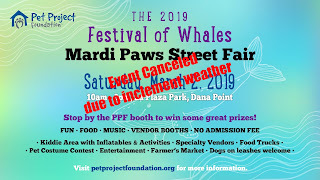 Stop by the PPF booth at the Street Fair for a chance to win some great prizes. All proceeds benefit the homeless and abandoned animals at the San Clemente-Dana Point Animal Shelter. Dogs on leash welcome and encouraged." This event runs Rain or Shine! Little Paws Pet Boutique will be bringing a selection of our Best selling products, New products, Holiday products, Cats products and Pet parents products at special event prices. I have a new tent with tent walls (just in case) to keep everything protected and dry inside. Thanks for being Pawsome Customers. We will see you soon! Feb 20th is National Love Your Pet Day. This holiday is a day set aside to give extra attention to and pamper your pets. Buy your pet a special dog treat or dog toy, take an extra long walk with them or spend extra time playing with your pet . We show appreciation to our pets and they give us unconditional love everyday. Enjoy 20% off your entire online purchase with our President's Day Sale. Sale ends on 02/18/2019. Discount will show automatically at checkout.